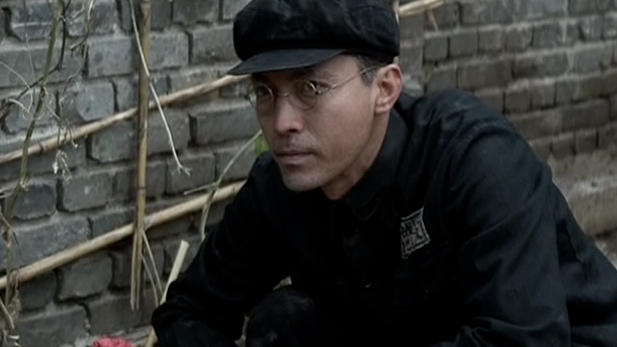 THE LAST EMPEROR had a much stronger impact on me in a recent re-watch than it did on release back in 1987. Then, I had a kind of polite-applause take, and over more than 30 years (shudder) that view somehow fixed in my Otherwise 100% Accurate Mind as ‘the Truth’ about the film—it being kind of boring. All that shows, really, is that mood can influence one’s responses and remembrances on all manner of issues, not least Art. I have a dim memory of being by myself, in a cold theater, with maybe a dozen other patrons. Maybe I was upset with work? I recall thinking Peter O’Toole looked desiccated. Jump ahead: the job is long gone, life has changed, and I’m supposed to have refined myself accordingly. Score a triple for posterity, Art and yours truly—as it’s a splendid movie I see now, one I look forward to viewing again, repeatedly, in the future. Lesson: lighten up. 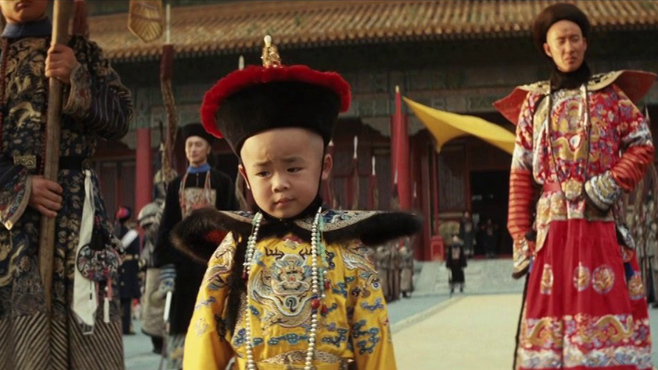 Americans know so damn little, about so damn much, including vast swathes of civilization, the good and bad, that has gone down in places like China (India, Brazil, Kentucky…)— witness this complex, sweeping, moving story of Imperial China’s last monarch. Raised in lavish, bizarre isolation among intricate webs of calcified custom, palace intrigue, and unbridled corruption, he was influenced by Western ideas, seduced by excess, blamed for things beyond his control, co-opted by nationalist warlords and Japanese invaders, finally persecuted by Communists under the reign of a new kind of God, Mao Tse Tung. If the movie suffers, it’s from having to cram so many years and changes into an acceptable running time. Here, that’s a stately 165 minutes, which still is not enough, trying to handle the span of 1908 to 1967, childhood, adolescence and adulthood, war and revolution. The last third rushes events and years. All trappings are exquisite, from the plaintive, haunting theme music composed by Ryuichi Sakamoto and David Byrne, to the art direction and glorious costume design, the props, lighting, background action, crowd scenes. Getting permission to shoot in the fabled Forbidden City by the surprisingly accommodating Chinese government, the massive undertaking was nonetheless a headache to combine into a workable epic format, under the tasking helm of Bernardo Bertolucci, giving David Lean a run for the money. Around $24,000,000 was expended, 19,000 extras were pressed into service, backing a select assemblage of Chinese acting talent, marshaled from around the globe, getting a chance to present layered characterizations beyond familiar Western stereotypes. O’Toole does look a bit worn (thirty years of pounding Guinness and whiskey will do that), but he’s quite good, restrained and subtle, as the young emperor’s tutor. 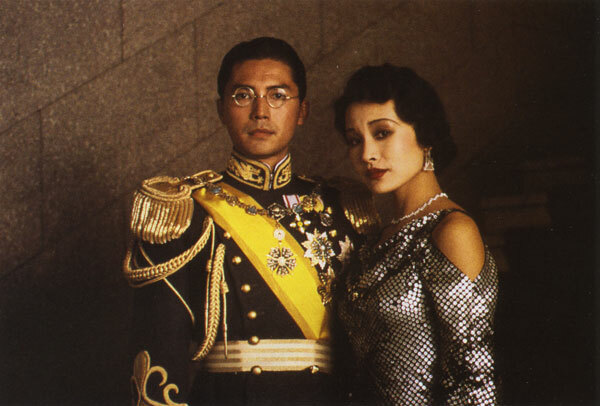 As an adult, the buffeted monarch is played by John Lone, his wife by beauteous Joan Chen, with various consorts and connivers brought to life by Victor Wong, Vivian Wu, Ric Young and Maggie Han. The story fits into the Fascination with Royalty milieu. This works especially if irony and tragedy are involved, universal and old as the hills: historical-movie buffs could make a long-weekend of it by bracketing this with Nicholas And Alexandra and The Kings Speech. Critical raves and surprisingly good box-office for a film of its type ($44,000,000+) led it to an Oscar sweep: Best Picture, Director, Screenplay, Cinematography, Music Score, Art Direction, Costume Design, Sound, and Film Editing. As much as anything, beyond its visual spectacle, and human poignancy, the movie could be a statement on Circumstance, and how it traps and molds us, even if we deny it. With Cary Higoyuki Tagawa, Dennis Dun,Tao Wu and Lisa Lu. Bertolucci also co-wrote the screenplay.